DIY Your Plumbing or Hire a Pro? keyboard_arrow_rightDIY Your Plumbing or Hire a Pro? Most homeowners are used to doing a little DIY plumbing from time to time. A clogged drain, a leaky faucet, installing a new shower head – these are fairly easy projects that can be completed in a matter of hours. But sometimes our home’s plumbing requires major work that goes beyond a novice’s skill level. You might not have confidence to complete a project, like replacing your toilet, or you may lack the necessary training to fix plumbing. Remember that a licensed plumber is trained and practiced, and some states require that a plumber undergo apprenticeships and take an exam in order to receive their licensing. Licensed plumbers have the knowledge and tools necessary to go beyond common leaks. If you’re planning a plumbing project, consider whether you should DIY or hire a professional plumberzfbzcuyqsybrvyararsyawfcfawwursr to complete the work for you. Most plumbers charge by the hour and the greatest expense tends to be labor costs, not materials. Of course your actual project costs will depend upon a variety of factors such as the scope of the project, the cost of materials, permitting, any other construction costs and labor. Depending upon the project, it may be most cost effective to DIY your plumbing, especially if the issue is outside of the walls and is considered minor. In fact, being a smart homeowner includes knowing how to make small adjustments or fixes to your home. 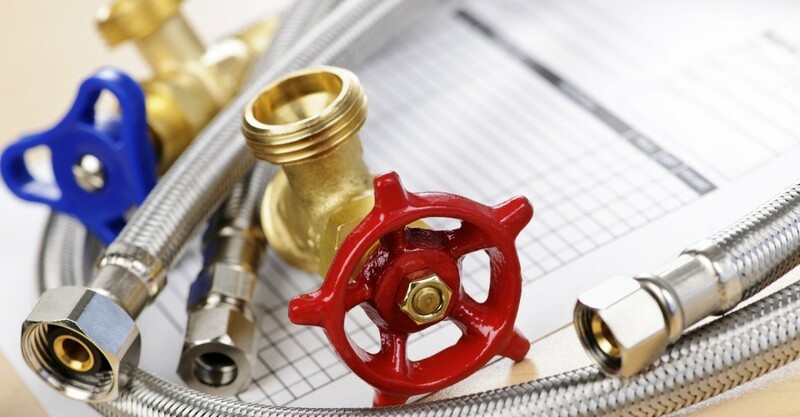 You will have to pay the costs of parts and tools, but depending on the complexity of your project these are minimal compared to the cost of hiring a professional plumber. With the DIY method, you can also take away a greater amount of confidence and pride with the fact that you can fix the things in your home, without the help of a professional. On the other hand, tackling DIY projects that are outside your skill level or knowledge can result in mistakes that may, in fact, cause more harm than good. Hiring a professional can help minimize errors and maximize results. A plumbing expert will also be able to spot additional problems such as mold or polybutylene piping. A plumber will also help you keep your plumbing project on schedule and budget. Some people prefer to take on plumbing repairs without any hired help, but it’s important to know when a project is outside of your skill range. To help you better evaluate the scope of your home improvement repair or remodel, the following are a few different projects to consider. Regardless of choosing DIY or hiring a professional plumber, make sure you know how to shut off your water. You should know how to turn off the water valve for each fixture (for example, under the sink) but also know how to shut off your home’s main water. If you don’t know how to do this, pay attention to what your plumber is doing the next time he or she comes to your home. You can go out to any hardware store of your choosing and purchase that fancy new faucet you’ve been wanting to buy. Installing or replacing a faucet can be a simple procedure and won’t cost you a lot of money or time. Steps to installing a faucet involve turning off the hot and cold water valves, which you can usually find under the sink, then removing the old faucet and replacing it with the new one. If you have never removed or installed a faucet before, it may be more difficult for you to complete, but some faucets will come with direction kits or you can find the steps on the Internet. Most faucet installations do not require the help of a professional unless valve connections are damaged or other repairs need to be done before the faucet can be replaced. Make it easy on yourself: have your new faucet have the same connection points as your old one. Meaning, make sure the holes in the sink or counter line up so you don’t need to drill new ones. Failing to maintain your washing machine can result in hazardous conditions, as a washing machine hose can burst if not properly taken care of. Amazingly, a burst hose can discharge up to 500 gallons of water per hour! Replacing the old hose of your washing machine is something you can do on your own by unplugging your washer, turning off the water supply, then disconnecting the hose from the valves and washer. Attach the new hose to the valves and then the washer, and finish by turning the water and power supply back on. Replacing old hoses will help so that you don’t spring a leak in your laundry room. This DIY project is something you can do on your own every five years, without having to spend some extra cash to have a professional check your hose connections. The pieces that make up your toilet can sometimes become faulty or quit working. Many toilet problems stem from old, faulty seals, chains or clogs – many of these can be fixed fairly easily on your own. Replacement parts are inexpensive and can usually be solved without the help of a professional. If you find your toilet is a bit wobbly or the seat is loose, there are DIY kits you can purchase at your local home department store that come fully equipped with the tools and parts you will need. If your toilet hardware repairs go further to more complex replacements, such as installing an entirely new toilet or a leak inside the walls, you’ll want to call in the help of a plumber. The key to a DIY plumbing project is to use your judgement. If you have experience handling a plumbing problem and you’re trying to keep costs down, DIY plumbing projects on a budget may be your best option. Remember though, that at times a plumbing project isn’t just pipe A connecting to pipe B. It can be one of the most complex aspects of your home’s functioning, and water can be extremely damaging to your property. Sometimes there’s just no substitute for a professional’s experience and know-how. To improve the overall health of your lawn, installing a sprinkler system will be key. This type of project will involve a professional landscaper to examine your property and gather any necessary permits, but it will also take a plumber to work the water system lines. The performance of your sprinklers impacts the care of your lawn, so it’s important that a professional checks that all water supplies reach each sprinkler correctly. This type of project can be easily achieved with the help of a plumber, and especially in the case of larger property you will want a professional to install your sprinkler system.